On the third Saturday of January, the Dutch capital celebrates the National Tulip Day, a public event, starting the annual tulip season. 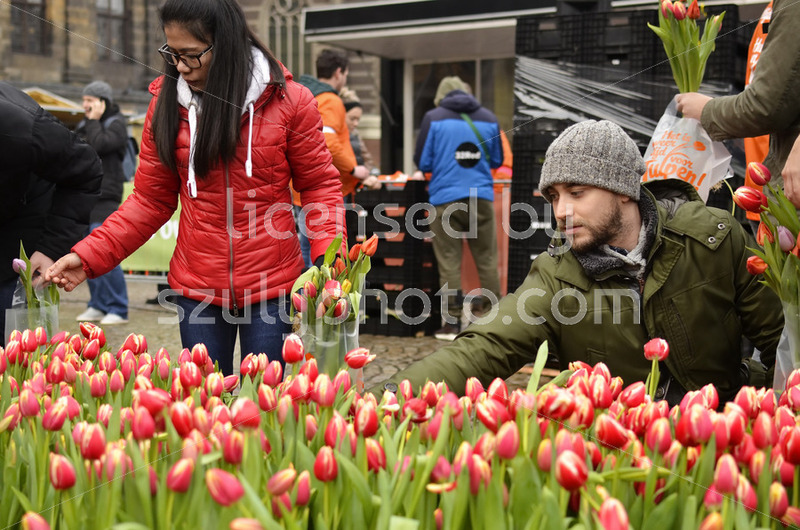 Thousands of people gather on the Dam Square, in front of the Royal Palace for the garden that Dutch tulip growers put together, already from 8 AM in the morning. 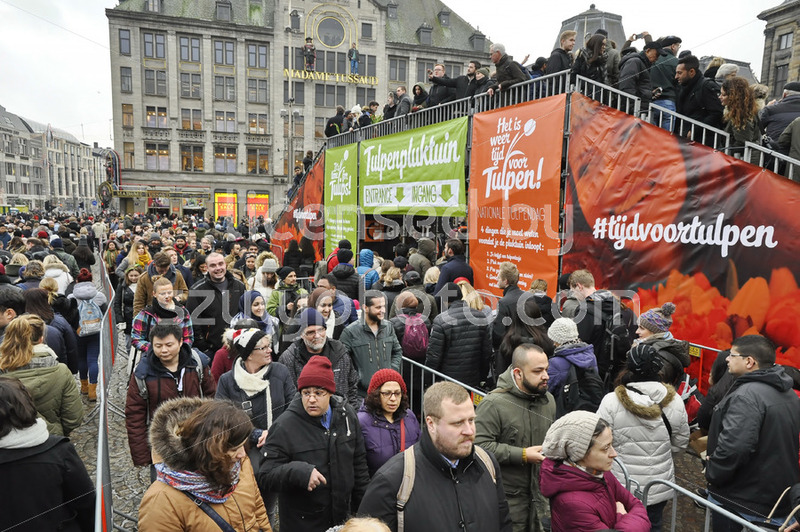 This year I had the chance to be there with the crowd, that can’t be bothered by the January cold in Amsterdam. 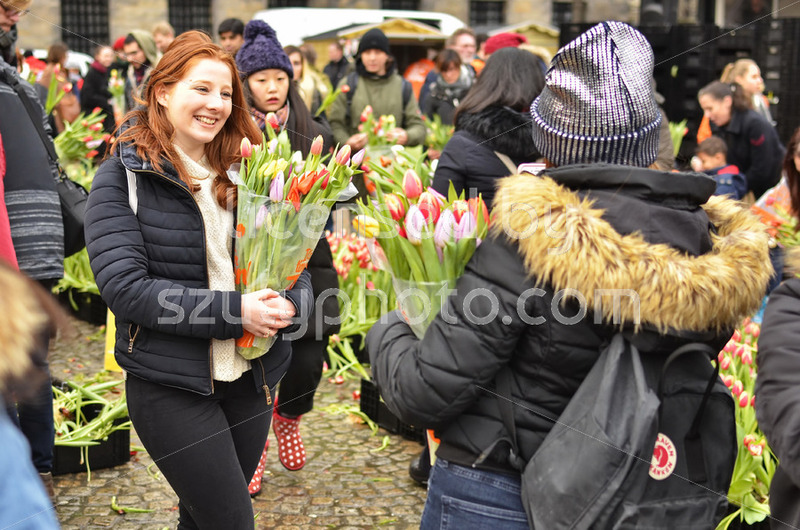 Amsterdamers and tourists alike want to take a bunch of flower to their homes or maybe even their hotel rooms? 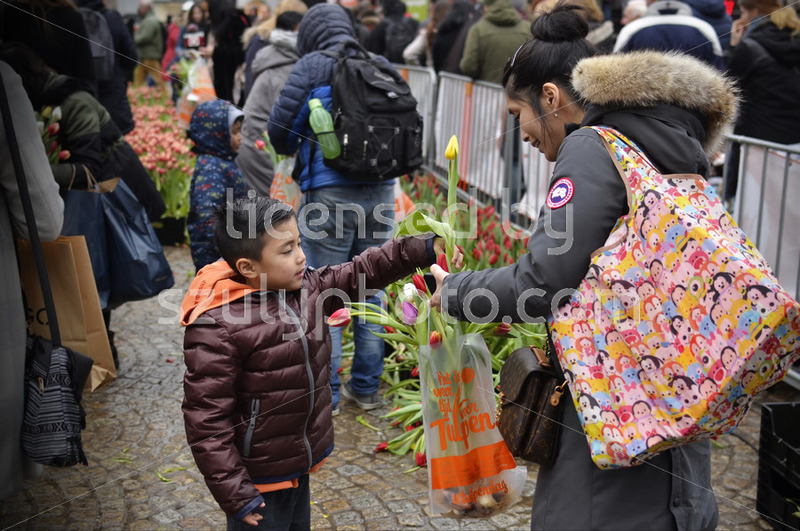 The event is liked by children and adults alike, crowded the whole day, while the gardeners put the new flower out in plastic container boxes. It’s a time to come together and celebrate the arrival of spring. It’s a social event that young people as well as the older generation finds fun. This is something that comes with being an Amsterdam citizen. Public events are trying to capture tradition in a way that’s appealing to all generations.